Biocept said today it will evaluate the clinical utility and cost effectiveness of using Biocept's Target Selector testing in patients diagnosed with non-small cell lung cancer (NSCLC) through an agreement with an undisclosed “large” integrated healthcare delivery network. Under the agreement, whose value was not disclosed, Biocept’s liquid biopsy testing will be used to profile patients who have been diagnosed with NSCLC and/or have progressed on EGFR targeted therapy. 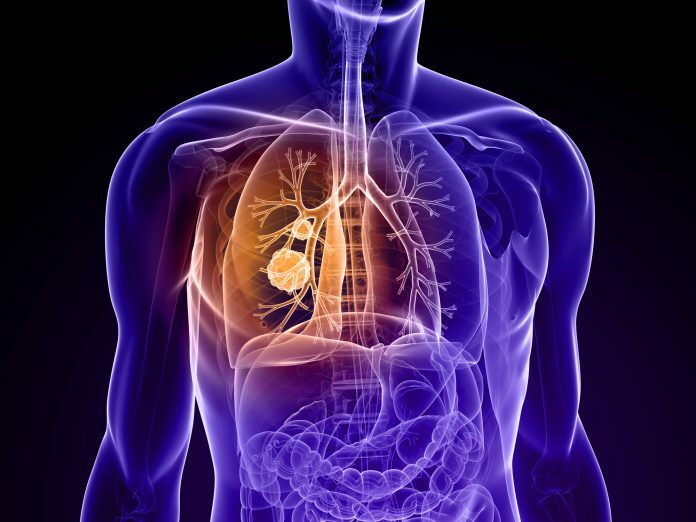 Key objectives of the collaboration include evaluating improvements in the molecular profiling rate of advanced NSCLC patients, as well as the reduction of the overall cost of patient care, Biocept said. Biocept’s Target Selector circulating tumor cell (CTC) and circulating tumor DNA (ctDNA) technology platforms use the company’s patented methodology to isolate cancer material that is shed into the bloodstream, capture, and analyze tumor-associated molecular markers. The platforms are intended to aid in rare event detection and genetic characterization by informing clinicians about the presence of CTCs, ctDNA, and other specific biomarkers, such as proteins and amplifications, from the CTCs. Biocept has announced winning two patents in recent days. On July 31, the company said it had been granted European Patent No. 2,705,162, “Methods for Detecting Nucleic Acid Sequence Variants,” providing intellectual property protection in seven European countries. The patent encompasses Biocept's proprietary “switch-blocker” technology, designed to enrich patient specimens for oncogene mutations of interest, resulting in ultra-high sensitivity and specificity for the detection of cancer-associated alterations. The switch-blocker technology is designed to improve detection rates for rare cancer associated biomarkers in patients diagnosed with cancer, allowing physicians to make informed decisions for therapy selection and to monitor treatment response, progression or recurrence over time. And on Thursday, Biocept said it been awarded Canadian Patent No. 2,658,336 entitled “Detection or Isolation of Target Molecules Using a Microchannel Apparatus.” The Canadian patent covers the use of Biocept's proprietary microchannels for the capture and detection of any target of interest. These targets include proteins and nucleic acids, as well as the capture of cancer cells or other cells that can be used for molecular analysis in blood and other biological fluids. Biogen now has 28 issued patents covering its core technologies, with plans to further secure its intellectual property position in additional regions of the world.